Next up on David’s Book blug is Blood Scroll of Antares by Brian K. Larson! In this third installment in the Warlords Series, The Empress must seek the missing Blood Scroll of Antares. Rescued after her crash, she is brought to the under-lands of ancient Earth by a band of Sasquatch. Join them on this magical quest in search for the ancient texts and discover the mysteries of the Kron’Shulooka, or Blood Spirit.Their hope is that the ancient writings will hold the clues of what must be done. Former Emperor Dumakas, thought to be killed, is returned from Revein’sev, the sacred place where all Antarians believe their ancient ancestors reside. Now seeking to return to power, Dumakas has a stronger fortitude and plans to invade Earth. However, there is strong opposition to him retaking his seat; those closest to the Emperor continue to hold the Empress’ song within their hearts. Will Dumakas succeed with his invasion plans, or will the Empress return to Antares in time to stop him? Former Emperor Dumakas is out for revenge in the 3rd instalment in the Warlords series by Brian K. Larson. The Antarians are an alien race controlled by blood lust and their target is humankind. After Dumakas was defeated there’s a chance for the bloodlust to cease but Dumakas is only injured.. he’s going to return to take back his place as Emperor. Many years ago the Blood Scroll of Antares were written and the empress must seek the scroll in order to understand the blood spirit and to find the means to defeat Dumakas once as for all! The empress along with her allies attempt to locate these scrolls on Earth and a well-known mystery/myth in our own history is explored which gives the book a good link to real life which I quite enjoyed. The Antarian race is caught up with internal turmoil as the Empresses blood song wains. Some are still loyal to the Empress but others are loyal to the former Emperor. Throw in some power struggles within the human race also and you’ve got quite some conflicts going on. The Warlords series is a fast paced wild space ride full of gadgets & ancient myths mixing past and present and at times throwing things completely on their head. Blood Scroll of Antares develops the series well and is a fun read. As always the author has his own style of storytelling.. it’s such a complex plot with multiple angles which means it could be easy to lose your place but the writing style makes it easy to keep up and enjoy. It’s not too technical but the author clearly has fun making up jump sequences etc which give it a punch. With the fast pace and quick chapters sometimes it needed the throttle off the pace to absorb events and these moments did that but also added a little suspense to the tale. Brian K. Larson is a fun author for me..I always enjoy his books and the style of writing means it’s easy for me to enjoy without overloading me..it’s just and easy, fun and exciting read. This entry was posted in Book Reviews, Science Fiction and tagged Bloggers, Book club, Book Lovers, Book Reviews, Bookaholic, BookBlog, Bookish, Books, Bookworm, Brian K. Larson, Reading, Reading List, Reviews, Sci-Fi, Science Fiction on April 18, 2019 by Bairdy1985. A misfit crew race across the galaxy to prevent the genocide of magical creatures, in this unique science fiction debut. Having magical powers makes you less than human, a resource to be exploited. Half-unicorn Gary Cobalt is sick of slavery, captivity, and his horn being ground down to power faster-than-light travel. When he’s finally free, all he wants is to run away in his ancestors’ stone ship. Instead, Captain Jenny Perata steals the ship out from under him, so she can make an urgent delivery. But Jenny held him captive for a decade, and then Gary murdered her best friend… who was also the wife of her co-pilot, Cowboy Jim. What could possibly go right? With the tag line “humanity’s last hope…a murderous unicorn” I was instantly attracted to this book. I’ll admit..I bought it as a bit of fun..It not like I thought it would be a bad read but I had no preconceptions..As a bit of a change of pace I thought I’d I’ve the book a go. That decision happens to be the best I’ve made in a long time. Space Unicorn Blues was one of the most fun and interesting stories I’ve had the pleasure to read in a long time. The story follows Gary, a half-unicorn who was kept captive for his horn. Many years ago Unicorns came to Earth in peace but mankind took advantage and attacked and enslaved the unicorns and many other alien species as they started to explore the universe. A unicorn’s horn holds great power and as such Gary’s mother took the decision to remove and hide Gary’s so even Gary himself would not find it. After being held in prison for murder Gary is finally released.. and he wants his ship back…but humans don’t see his kind as equal and he doesn’t have any rights..he sets out to get his ship back but is forced to work with the person who had him sent to jail. It’s time for him to face his past. A first I thought “this is crazy” everything is so out there and weird and wonderful..but it works..and I craved more. The characters were fun and interesting, the plot engrossing, so much so that a pre-order for book 2 is already in! Overall a remarkable tale…I bought this as a bit of a laugh on a whim and it’s turned out a real highlight in my 4 years of blogging. Thoroughly enjoyed this one from the 1st page to the last. 5*..I can give no less. This entry was posted in Book Reviews, Science Fiction and tagged Bloggers, Book club, Book Lovers, Book Reviews, Bookaholic, BookBlog, Bookish, Books, Bookworm, Reading, Reading List, Reviews, Science Fiction, Space Opera on March 19, 2019 by Bairdy1985. Next up we have a 3 for 1 review! I’m going to be reviewing the Law and Crucible Saga by Ioana Visan. Nia is one of the few souls left aboard a drifting tomb known as The Pacific. The spaceship carries a deadly plague, and by the time they receive a distress call from an approaching shuttle, they are all close to losing hope they might ever escape alive. When the will of the shuttle crew and that of the survivors on The Pacific clash, Nia has to pick a side to save what she holds most dear. Suffering from neural degeneration, Thea is fading away in an asylum with no hope of ever leaving it. When Captain Law offers her an opportunity to board his ship in return for her help, the astrophysicist is faced with having to learn to trust them or end up in another asylum with slim chance for recovery. And then her secret will be lost. With a contract that they are desperate to obtain and a rogue asteroid in enemy territory, Captain Law and his crew must keep Thea free from harm, but a missing crew member and a band of misfits thwart their efforts and send them on a mission no one was prepared for. Can Thea and Captain Law learn to work together for one goal or will long-held secrets and mistrust shake their resolve and destroy their efforts? On a routine trip across the asteroid field, the robot, Del, and unregistered AI, Vee, meet trouble. With Captain Law and his crew having been put into stasis, their only chance of survival will mean placing themselves at the mercy of what few resources they have. Without a human to assist them, Del and Vee will be vulnerable and so too will the ship and all the lives on board. Despite their best efforts to avoid unwanted visitors, another ship is en route. Their arrival does not guarantee the safety of those on board, and may ultimately lead to their demise. With his position on the ship on the line, can Del stave off an attack or are their deaths inevitable? The Law and Crucible Saga is made up of 3 short stories. The focus of each is different but one common factor is Captain Law and his crew. Law’s gotten his hands on some information which could be quite valuable but he’s out looking for someone..but who and why? I enjoyed the series more as I went along. At first I was a little confused as you arrive already into the action so to speak so it’s only as the author give you little bits of info that you piece events together. When we get to the second book in the series we seem to have lost two of characters from the first book who joined the crew right at the end which through me a little if I’m honest. The addition of Thea and Del in the later tales saved the series for me and really made me quite enjoy it. Overall an interesting series which I feel would have worked quite well as full length novels. Just when things start the get interesting you’ve reached the end..I loved the plot but really wished for a bigger page count. This entry was posted in Book Reviews, Science Fiction and tagged Bloggers, Book Lovers, Book Reviews, Bookaholic, BookBlog, Bookish, Books, Bookworm, Reading, Reading List, Reviews, Sci-Fi, Science Fiction on January 28, 2019 by Bairdy1985. Next up for review is The Intervention by Patrick Gilbert-Roberts. A young woman, alone on the Stuart Highway, 250 miles from Uluru in the centre of Australia, it’s 110 o, if you’re looking for remote and inhospitable, this is right up there with the best! What is she doing there? Jeff Ridsdale wonders the same thing as he pulls up beside her. Of course, he rescues her and, in so doing, sets in train the most extraordinary chain of events. On his way to Sydney to begin a yacht delivery, Ridsdale, a down-to-earth, practical man, is certainly not the sort to believe in UFO’s or alien abductions. Imagine his stupefaction then when, having been knocked unconscious on the boat in a storm, he comes-to on board a Kareeti interstellar vessel. The Kareet have plans for Earth that the human race is not going to like. They have selected Ridsdale to be a conduit for communication. Implanted with a ‘channel’ he is returned to Earth to somehow arrange a meeting of the UN Security Council. The Kareet demand that Earth nominate a top line micro-biologist. Lena Sandmeier steps forward. Can she and Ridsdale do anything at all to thwart the alien’s devastating intent? The Intervention follows Jeff Ridsdale as he’s whisked away and an extraordinary life changing whirlwind of an adventure that will change the world as we know it. While out driving Jeff picks up a young lady.. her story is a bit strange but she’s in the middle of nowhere so Jeff does the right thing and gives her a lift. She tags along on Jeff’s latest commission, delivering a yacht to its new owner.. when the seas start to get stormy it’s the start of a wild adventure. The truth comes out..aliens are real..and they have use for Jeff..he’s going to be their conduit to speak to the UN Security Council. I really liked the thought-provoking plot when aliens arrive to deal with the human race. They have seen what we’ve done to the planet and they are here to set things right..but not everyone on Earth will like what they have planned..
There’s not a great number of characters in the tale which makes it easy to follow but I never quite warmed to Jeff and how what seemed a quite random abduction turns out to be the best thing that could have happened as the aliens need to get in contact with the UN…while Jeff can’t do this directly he just so happens to have contacts who can get him the access he needs.. it just felt a bit too easy for me and I never really connected with him. Overall it was very well written with a plot that I quite enjoyed. There will be a few people including myself who will see the issues the aliens raise as something we are ignoring currently, it’s really a book to make you stop and think. There’s a little twist in the direction of the tale which I quite enjoyed..the humans don’t really like the options the aliens are offering and come up with what they believe is a better option..but will everyone agree? Definitely an author I’d follow to see where his work takes him. 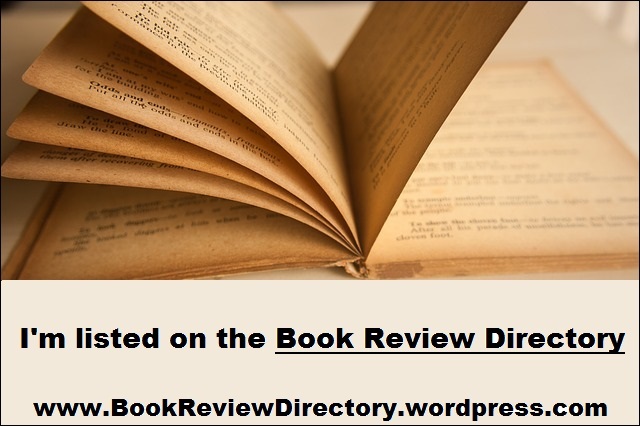 My thanks go to the author for the chance to read/review their work. This entry was posted in Book Reviews, Science Fiction and tagged Bloggers, Book club, Book Lovers, Book Reviews, BookBlog, Books, Reading, Reading List, Recommended Reading, Reviews, Sci-Fi, Science Fiction on December 7, 2018 by Bairdy1985. Next up for review is Elji and the Galrass book one in the Essence Sagas series by Colin Sinclair. Elji, a boy from a village outside the city of Mehem discovers a “Galrass” a tool usually wielded only by those who understand its power. Perhaps it was left for him to find or perhaps it was just a random happening? The Galrass embroils him in a struggle he never expected to be part of or even imagined existed. Dregar, a being from a different planet and galaxy ‘feels’ the boys interruption of the universal essence and takes him under his wing and so his journey begins. Friendships are made and lost and many lives must be put in danger to usher the civilization into its rightful place among the Universal essence. Will Elji fulfill his potential and help save his world or will it fall into darkness? Elji is a young boy whose life is about to be turned upside down when he finds a strange stone. This is no ordinary stone though..it’s a Galrass which has unimaginable power. Dregar senses Elji and his Galrass and takes him under his wing. He’s not the only one who has sensed the presence of the Galrass and we learn of beings, The Four, from far away who watch and influence the development of other worlds to one day see them reach the same enlightenment they have reached. They don’t wish to push a civilization before it’s ready so their influence is subtle and over many years. With one of The Four turned to darkness and one, Ichancha lost years ago this leaves just two to influence pivotal pieces on the chessboard to ensure Framin’s plot doesn’t come to fruition. These chess pieces turn out to be very specific individuals, influenced slightly at times by the remaining members of The Four, Elgred and Charina. They assemble for one final battle.. or is it? There’s twists and turns as we learn the true capabilities of The Four and Elji and I found the plot quite riveting at times. For me the tale is fun and interesting but with the sheer number of characters and the fact the tale is so fast paced there’s a lot to take on board. I would have liked to see the progression of the tale be a little slower at times so more time could be spent on developing the characters so they become ingrained in your mind. I just didn’t feel like I got to know the characters as well as I would have liked. Overall I enjoyed the book, the characters were interesting, the plot well thought out and those twists when thrown in really did make me go ooo as I dreamt up the possibilities myself. It’s was well written and clear to read so It’s a great start to what could be a fun series if developed well. I’d be interested to see where this goes. This entry was posted in Book Reviews, Fantasy, Science Fiction, Uncategorized and tagged Bloggers, Book club, Book Lovers, Book Reviews, BookBlog, Books, Fantasy, Reading, Reading List, Reviews, Sci-Fi, Science Fiction on December 3, 2018 by Bairdy1985. The islands of Caldara are a shining jewel in a rather bleak world. A terrible calamity in the past had blanketed much of the world with a toxic “fug.” Those who survived were forced to take to the mountains and the skies in wondrous airships. Life has since been a struggle, with only the most ruthless and crafty able to survive. To spare themselves the same fate, the Calderans erected a battery of guns to fend off the airships of the mainland. They isolated themselves from the madness of the world, choosing instead to focus on the pursuits of art and creativity. Few believe the technologically advanced but socially barbarous outsiders have anything to offer. Amanita Graus, though, is hoping that they do. Nita’s mother has lost her livelihood and perhaps soon her life to a terrible disease. Already the black sheep of the family for embracing engineering rather than art, Nita resolves to leave the safety of her home and do whatever it takes to find a cure. For a price, the bizarre crew of an airship called The Wind Breaker are willing to grant her a meeting with their mysterious benefactors, and thus a chance to procure the one thing with a chance to save her mother. I’ve had this book on my TBR list for a while and I thought it was about time I gave the author my attention. I’m very glad I did. Free-Wrench follows Nita, she’s good with machines..I think she could probably fix anything given the time. The book starts off giving a little background to Nita’s life.. she works in the steamworks which is a very demanding job and we quickly learn how good she is. A couple of events happen that conspire to change her life forever. Her mother has an illness which can’t be cured and by chance see gets to meet some smugglers.. these smugglers know a lot about the world and know a cure is out there..but it will be a high price if they can get it for her at all. Nita is happy to pay the price but doesn’t trust the smugglers so adds her services to the bargain in order to keep an eye on things.. this is when things quickly escalate. It’s a fast paced, well written, easy flowing, wild ride of a tale suitable for young adults up and at 153 pages it won’t take you long to be hooked in. Best of all you can pick the book up on Amazon for free! Have a look and tell me what you make of it. Please do let me know if you’ve read the other books in the series, I’d love to know what you think of them. This entry was posted in Book Reviews, Science Fiction, Steampunk and tagged Bloggers, Book club, Book Lovers, Book Reviews, BookBlog, Books, Joseph Lallo, Reading, Reading List, Reviews, Science Fiction, Steampunk on March 22, 2017 by Bairdy1985. This book follows Apple.. he’s not had the best of times but he’s always managed to keep going.. and in this book we find out why. Angela has been with him.. watching..protecting as best she can. After a murder and a robbery Angela is forced to reveal some truths to Apple. Angels exist and not all are intent on doing good. It’s a good versus bad tale. We get introduced to some interesting good guys, one such is a Yeti! I loved the Meh-Teh and Shilog, They have a side story which converges with Apples and this is one part of the book that I really enjoyed. I don’t want to give too much away but there’s a plot out there to remove humanity and start over..There’s a biblical feeling to events whereby one of the higher beings watching over us and our every movement has decided we have failed to live up to expectations and it’s time for a do over. I really liked the bad guy in this tale. I can’t spoil it but clearly they have some obvious issues, you never really know what you’re going to get with the character, like they could do anything and I loved the unpredictability of it. The battle between the forces of good and bad was done pretty well, not graphic in details but the end fight had me hooked as to how things could end. So you’ll want to know why it’s only a 3* star for me. Well it’s the relationships between the characters, mainly Apple and Angela. I know we are told Angela has been with Apple for years but as this is a fast paced tale I don’t think we had enough time to see or feel the relationship grow itself without it being pointed out to us. The major plus for this book is the plot itself along with the writing. It’s very easy to read and enjoyable and the plot keeps you hooked with multiple perspectives. This book is perfect if you like the idea of a good versus bad Fantasy/Science Fiction vibe tale with fast paced writing. An enjoyable quick and interesting read. Enjoy the ride. My thanks go to the author for the chance to read and review their work. This entry was posted in Science Fiction, Uncategorized and tagged Bloggers, Book club, Book Lovers, Book Reviews, BookBlog, Books, Fantasy, Reading, Reading List, Reviews, Sci-Fi, Science Fiction, Writing on January 11, 2017 by Bairdy1985.